Let’s WOOP it up this year! As we begin another school year, those of us returning to the classroom bring a wealth of experience, a stocked tool kit, and sometimes a little baggage or anxiety. The new year brings opportunity to create the life in teaching we always dreamed of. We often rearrange our classroom spaces, revise our lessons or reorganize our schedules. With a new year and new students we have a new blank slate upon which to create. So it’s a great time to ask ourselves, “What works, what doesn’t?” And by that I mean, inviting ourselves to reflect on our practice and consider what was effective, engaging, and enjoyable- and what wasn’t. Sometimes we fall into patterns of behavior and it is almost like going through the motions. “ I’ve always done it this way.” When we acknowledge past successes and take time to reflect there is a greater chance that they will repeat. When we are honest about what our challenges are, we can more purposefully address them. For most of us, this isn’t just a job. This is life. So how do we create the life in teaching that we want? Maybe this year we could try to WOOP it up! Over the summer, I had more time to read a greater variety books and listen to podcasts that weren’t about literacy or teaching necessarily. I found myself fascinated by the work of psychologist Dr. Gabriele Oettingen, author of Rethinking Positive Thinking:Inside the New Science of Motivation. She believes the obstacles that we think prevent us from realizing our deepest wishes can actually lead to their fulfillment, but we can’t just think positive thoughts. Ironically, she found those who have stronger, more positive fantasies about reaching their goals are actually less likely to achieve them. She and her colleague Dr. Peter M. Gollwitzer introduce me to a strategy called mental contrasting- a visualization technique that research has shown can increase positive outcomes for goals. But she wanted to move theory into practice so she created WOOP! WISH– What is an important goal or wish that I would like to accomplish in the near future (next few weeks)? OUTCOME– What would be the most positive outcome? How would that make me feel? Imagine it as fully as I can. OBSTACLE– What is the main obstacle inside ME that holds me back from fulfilling that wish or dream. Is it a habit, an emotion, a belief. I cannot control external obstacles, only those within myself. So how might that look in action? WISH-in the next few weeks I want to submit two pieces of professional writing. OUTCOME- I would feel a sense of relief and accomplishment if I created something worthy of being published. It would be exhilarating. OBSTACLE- I know at the start of the school year I am not very good at prioritizing my time. I often feel like I have to say yes and I try to front-load a lot of my work with students and teachers. I want to start things off on the right foot and I often take on too much. I know that sounds ridiculously simple. That’s the point. WOOP is breaking down the research behind mental contrasting with implementation intentions into a habit for thinking about how to approach your goals with deliberate focus. Oettingen knew that the acronym could help to trigger positive action because it is catchy and memorable. 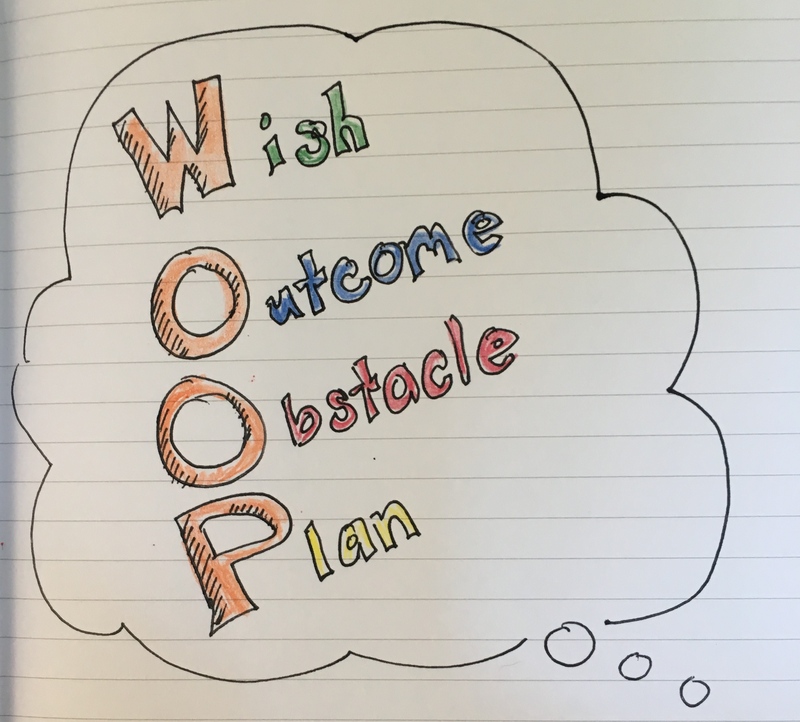 If there are things you would like to accomplish in your classrooms this year, perhaps you could WOOP it up! She has FREE POSTERS for your classroom and there’s even an app for that! You can check out a few videos from Character Lab on implementing WOOP in your schools here. Author Meredith Russo is truly writing from the heart with this poignant YA novel. Amanda is the new girl at her school in Lambertville, Tennessee. She wants what all ‘normal’ girls want; friendships, a boyfriend, to simply fit in. But Amanda wasn’t always your ‘normal’ girl. She was born Andrew- a girl trapped in a boy’s body. As she strives to live an authentic life, she wants to be honest. But with a bullied and tortured past, she is afraid to trust. Then she meets Grant Everett, she experiences life in a new way, and fears that honesty could risk it all. For anyone who has ever struggled with understanding the concept of transgender or transsexual identity- this book will help you as you walk a mile in the shoes of one teen who will open your eyes and open your heart. A great addition to any high school looking to offer more “windows and mirrors” in their collection of texts to celebrate diversity.